Super fast and accurate! The intersections match without even trying. Beginners - have no fear! You will love the companion product - the Fussy-cut Template, which is not only great for centering a particular image in your finished diamond, but perfect for cutting 2.5" strips into 5.5" rectangles! 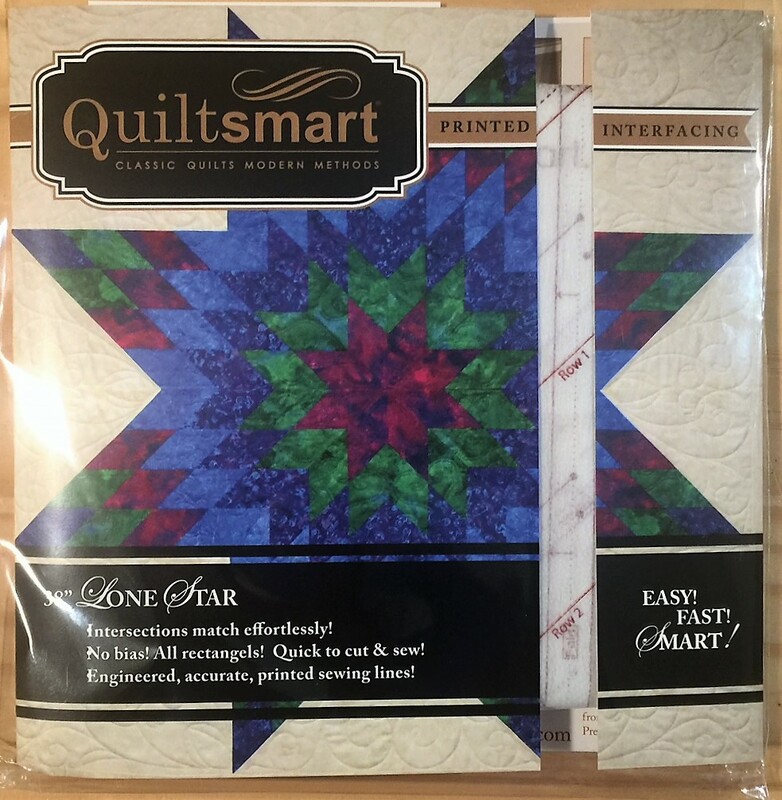 Comes in a 9" x 9" pack with 4 panels of interfacing & instructions to make (1) 38" Lone Star. 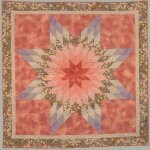 Makes a 38" star for a small/wallhanging or lap size quilt. 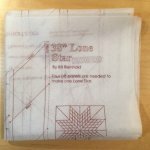 SPLIT DIAMONDS METHOD - This printable shows you how to make the Split Diamonds, which can be used with any of the following patterns: 38" Lone Star, 58 Lone Star", or Broken Lone Star. VIDEOS BELOW give more info!